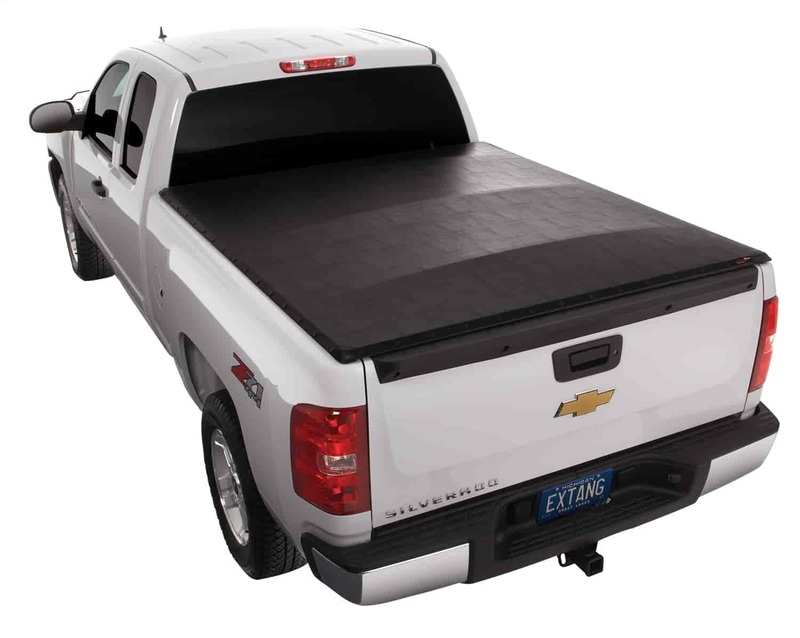 Extang leads the tonneau cover industry with outstanding engineering and design. They have set the bar for tonneau quality yet continue to raise it. ! Extang's original: The ultimate tonneau choice when nothing but premium components will do. Heavy-duty anodized aluminum rails and Monster Bows. Extang makes the only 4-way fully-adjustable tonneaus that work well in both hot and cold climates. Simply position snaps at the appropriate weather setting for a perfect fit. Bows stay in place while driving and loading. Wide, flat design allows for maximum strength, as well as a smooth tarp surface. Spring-loaded for the fastest on and off. Extang's patented ClickLock corners feature spring-loaded stainless steel ball bearings for instant, easy release of tail rail without tools. Vehicle specific for a perfect fit. Clamps offer two bow height positions: HIGH for performance and improved gas mileage and LOW for a sporty look and cold weather. A simple but important feature, SnapStopper keeps snaps secure on the rail when tarp is rolled up for bulk hauling. When it's time to haul large items, the tarp can be rolled up quickly then secured with strong Velcro straps. Keeps tarp neat and secure while driving. The secret to an Extang cover's great looks and fit: a perfectly sewn, tight-fitting tarp with special anti-curl corners. Thick polymer backing around the tarp provides a long life. Does Extang 7870 fit your vehicle?